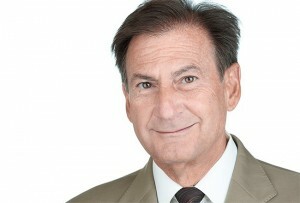 Rocco founded the firm of Pugliese Associates in 1980 working from a small office in Harrisburg with a single client. The firm now maintains offices in Harrisburg and Philadelphia with close to 50 clients including: non-profit organizations, universities, government authorities, venture capitalists, state and national corporations, and trade associations. Rocco has more than 35 years of lobbying and state government experience. Starting his working years in the mid-70’s employed in the State Senate; he was later hired as an aide to the House Transportation Committee. In his years of lobbying, Rocco has been active on a number of highly visible, diverse and complex issues. They include such topics as gaming, corporate initiatives and ventures, appropriations, tobacco settlement, economic development, workers’ compensation, state procurement, along with a variety of other policy and legislative issues. Rocco graduated from Gannon University in 1975 with a BA in Political Science, and he also holds a Masters degree in Public Administration from Penn State University. Experience, Integrity, and Results- Rocco’s motivation, commitment, leadership and direction are what make Pugliese Associates what it is today.